Restoration of antique and modern mosaics is available. Please give us a call or e-mail: info@unicornartstudio.com for mosaic restoration. 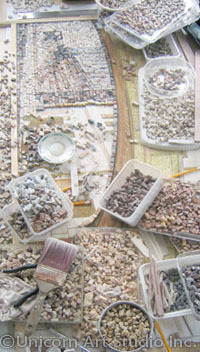 We also offer consulting on mosaic restoration.